"I always felt I can do anything, if people are laughing." 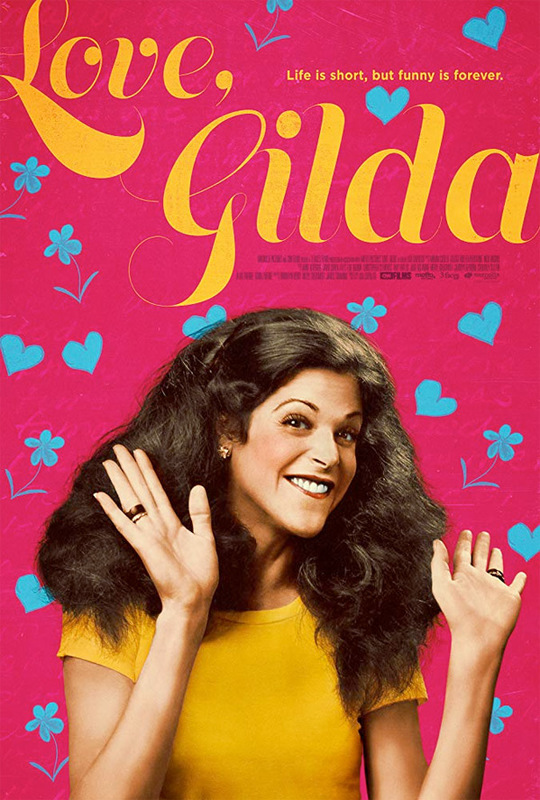 Magnolia Pictures + CNN Films have debuted the official trailer for a documentary titled Love, Gilda, a profile of the iconic comedienne Gilda Radner, as told in her own voice. Similar to the documentary Listen to Me Marlon, the film is based around a series of long, unreleased audio diaries and personal journals written/recorded by Gilda Radner before she passed away in 1989. It's described as a "comprehensive remembrance of Radner's public legacy" and "underpinned by an engrossing insight into her private struggles." This looks like a heartfelt film that gets into her story, showing how tragically short her life was, yet how much of an impact she made and how she inspired many. In her own words, comedienne Gilda Radner looks back and reflects on her life and career. Weaving together recently discovered audiotapes, interviews with her friends, rare home movies and diaries read by modern day comediennes inspired by Gilda (Melissa McCarthy, Amy Poehler, Maya Rudolph, Bill Hader and Cecily Strong), Love, Gilda offers a unique window into the honest and whimsical world of a beloved performer whose greatest role was sharing her story. Love, Gilda is directed by filmmaker Lisa D'Apolito, making her feature directorial debut after producing a few other doc films as well. This first premiered at the Tribeca Film Festival earlier this year, and also played at Hot Docs. Magnolia Pictures will release the doc Love, Gilda in theaters nationwide starting on September 21st this fall. Who's interested?